For smaller, domestic or house clearance and disposal projects, JN Skips have a range of skip hire options to fit all budgets and size or space requirements. We don’t just offer cheap skips available at short notice (even same day where possible).  We also focus on providing a wide variety of skip shapes and sizes, meaning that you can hire skip bins and skip bags for almost any removal, collection or recycling need – need a local, ‘near me’ service offering a range of small skips and mini skips for your commercial or house removal project? Look no further – our two-yard skips are affordable, reliable and delivered as and when you need them the most. 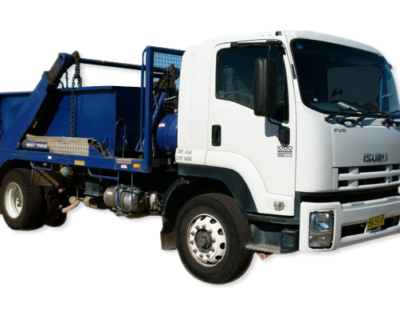 Need to hire a skip for a day or on the lookout for same day skip hire? Call or book online with us and we’ll get skip lorry services to you without delay – throughout London, Croydon, and the South East and South West. Our two cubic yard skip hire service will cover smaller projects with ease – need to oversee a smaller removal and don’t want to pay extra for skip space you won’t use? Hire a skip with JN Skips and get a refuse bin that will collect as much junk as you need to get rid of. Let us save you a trip to the local dump or refuse centre – we’re available for domestic and business needs as required, meaning that whether you may moving home or overseeing a building project – we can be on hand to get everything moved out and recycled wherever possible. It’s as simple as that! Our skip sizes go up and up – meaning that there’s home and building specialised services available for you to hire the same day or at very short notice. We offer the best services for the best prices – our top team has been in the trade and at the top of their game in Croydon and London long enough to understand exactly what our customers need. Time is money – and when it comes to disposing of trash or junk and short notice, we are more than happy to attend your premises whenever you need us – just give us a call or get in touch online and we’ll be with you. 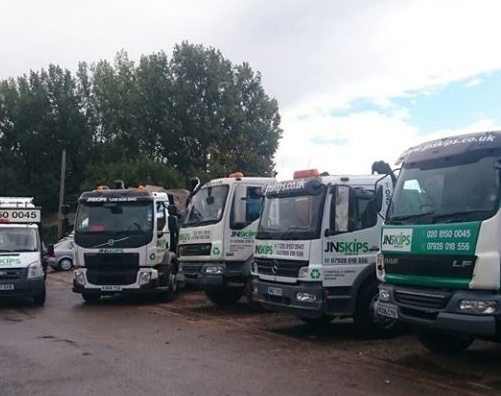 Whether you’re based in Surrey, the South West or the South East, rent a skip from us and we’ll get our disposal and collection team along with you and a brilliant two-yard skip as soon as you need us. Our range of mini skips may be cute in comparison with some of our bigger models in stock, but they still do the business – and you can hire a rubbish skip from us for as long as you need it. 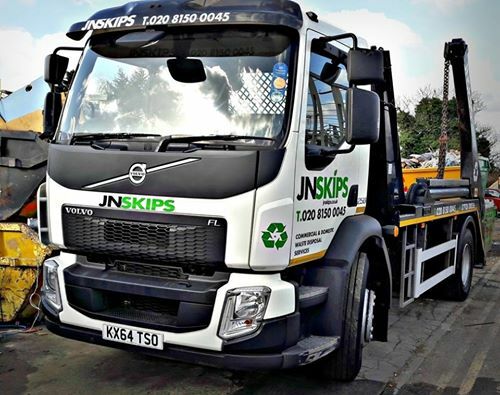 Hire a skip for a day or even a week with JN Skips and you’ll get skip bins and collection services you can depend upon throughout the year. Our rubbish skips range increases in size, but our small skips are perfect if you are interested in hiring just enough size for a small home clearance or short commercial job. Call us on 0208 603 7363 / 0208 150 0045 07928 018 556 or use our online booking system – and let’s get you cleared out as quickly as possible!